Tired of walking home with your shopping? Well, why not take the BUS!!! 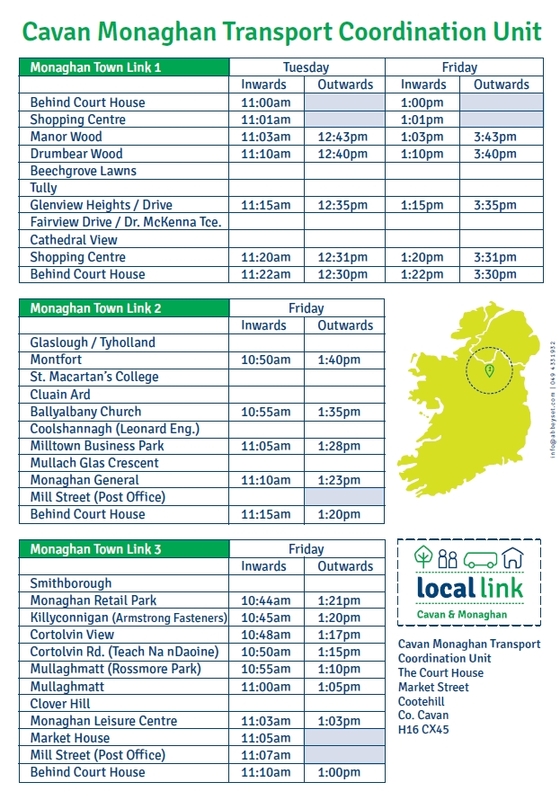 Cavan Monaghan Transport Co-Ordination Unit has introduced a local service which takes people from the residential areas into the town centre and back again. Why not give it a spin and let us know how you go? The service is free if you hold a free travel pass. ← What are you doing to mark European Mobility Week?